When I learned that Foxwarren bonded over Pedro The Lion I immediately looked them up and gave them a listen. Alright you’ve guessed it, shortly after I embraced the remastered work of these Seattle indie rockers so I was happy to discover the planned to release some new work this January. In the United States David Bazan’s (vocals) Pedro The Lion is a sort of a sadcore cult classic. Around the year 2000 the band released four albums that made an impact on the indie community which at the time was dominated by acts such as Death Cab For Cutie and Band Of Horses. Yet there was also room for smaller acts like ¡All-Time Quarterback! and Pedro The Lion. In 2006 Pedro The Lion dissolved only to return last month with a comeback album that’s obviously titled Phoenix. Bazan is known for for his gentle first person narrative lyrics about political and religious themes. With this revival he taps into that past but does not shun to translate this to some harsh lessons he learned in the past 15 years. Phoenix’s opening ‘Sunrise’ feels luling yet blossoming at the same time. The short instrumental opening only is an intro to the quietly optimistic ‘Yellow Bike’. On this song Bazan reflectively sings about a yellow bike he got on Christmas Day 1981. 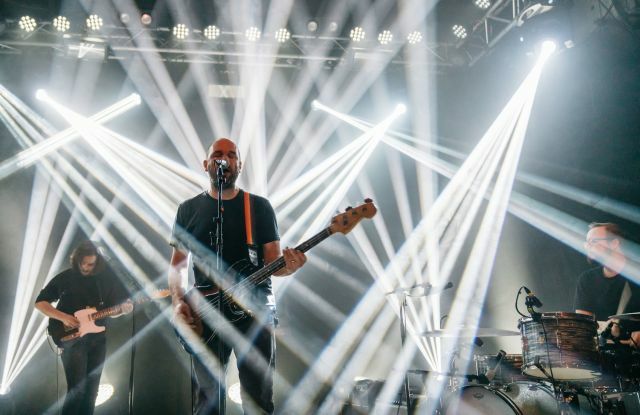 Bazan, who was raised in Arizona, remembers his carefree youth like an allegory for adulthood in which many of us struggle to make rent instead of riding on a bike as a kid who is solely discovering the sandy world around him. Bazan sings “I remember what it was like, astride my yellow bike […] First freedom, second life,” he sings churning rhythm on a chorus that closes with a very relatable statement: “My kingdom for someone to ride with”. Phoenix’s opening followed by the power rock, fist-pumping ‘Clean Up’ is strong and even feels optimistic. The opening seems a bit misleading because the tone of Phoenix also very much is heavy hearted. On ‘Model Homes’ he addresses his restlessness as the main cause for him to the disband Pedro The Lion 15 years ago. He got on the bike back then, went everywhere but never found a home. ‘Model Homes’ ends with “[…] Looking at model homes again. Tired of where we live. Hoping that it’s not if but when”. On ‘Circle K’ Bazan jumps to his childhood memories again as a metaphor for being too easily distracted. Here he sings about a time he saved up for saved for a new skateboard only to discover he spent it all on snacks at a convenience store. Bazan also takes on his struggle with faith on ‘Powerful Taboo’. According to him instincts are suppressed by the church. The church sets the bar when it comes to personal ethics and frames it as a way to save your soul from Hell. Bazan warn us with “Deny your senses, be a stranger to yourself. Now that’s a powerful taboo”, but eventually ends by sharing a life lesson with us: “Don’t let them take your wits from you”. Phoenix sound production is consistent with earlier work. Nevertheless earlier work was more oriented on the lo-fi side of things. Now Pedro The Lion broadens up that scope towards a fuller body of rock music. ‘Black Canyon’ and ‘My Phoenix’ are examples of harder, rumbling guitar-focused tracks that and will do well in the bigger venues. Phoenix is a sonic mirror for Bazan. With 13 new songs he bravely addresses a lifetime of blaming God, the economy and his family, friends for his own flaws. Phoenix is about redemption from all of that. ‘Quietest Friend’ probably is the best acknowledgment of that. Phoenix seems like a tough pill to swallow but nicely enough never becomes emotionally overwrought. Phoenix must be seen as Bazan’s beacon of hope. He’s finally ready to move forward with Pedro The Lion and you’ll never know where that leads to. I know it’s still early in the year but I think we have strong contender here. 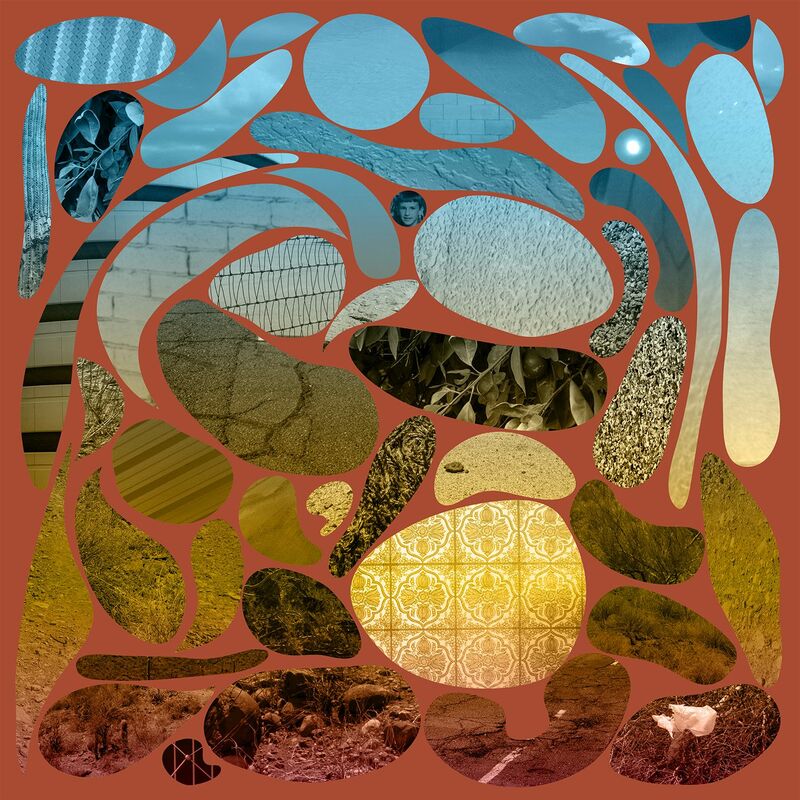 This entry was posted in WRM and tagged 1981, 2000, 2006, 2019, album review, Arizona, ¡All-Time Quarterback!, Band Of Horses, Big Scary Monsters, cd, Christmas Day, David Bazan, Death Cab For Cutie, Foxwarren, God, indie, Indie rock, lo-fi, Pedro The Lion, Phoenix, Rock, sadcore, Seattle, singer songwriter, United States. Bookmark the permalink.